Julian BARNES: The Noise of Time (2016). Knopf ISBN 9781101947241 (http://www.penguinrandomhouse.com/). Perpetually waiting across these three mini horror novellas, this Dmitri animated by Barnes isn’t the Shostakovich whose music I know. MAYBE. Gustav MAHLER: Symphony No. 10 (1910; compl. Deryck COOKE, rev. 1960-64). Deryck COOKE: Illustrated talk, 19 Dec. 1960. 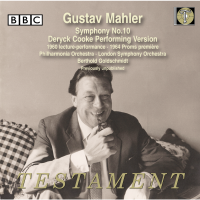 Philharmonia Orchestra, Berthold Goldschmidt (cond.). Testament SBT3 1457 (3 CDs) (http://www.testament.co.uk/). Absolutely essential: Cooke’s lecture, the studio performance of Cooke’s first attempt (incomplete), and the 1964 completion’s premiere. YES. Gustav MAHLER: Das Lied von der Erde (1908-09). Klaus Florian Vogt (ten), Christian Gerhaher (bar), Orchestre Symphonique de Montréal, Kent Nagano (cond.). 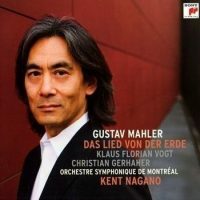 Sony Music 88697508212 (1 CD) (http://www.sonyclassical.de/). Sadly flawed: Nagano’s orchestra sounds fantastic and Gerhaher is superb. But Vogt rarely cuts over the thick textures in Trinklied, etc. NO. Dmitri SHOSTAKOVICH: Symphony No. 4, Op. 43 (1934); Symphony No. 5, Op. 47 (1937); Symphony No. 6, Op. 54 (1938). Mariinsky Orchestra, Valery Gergiev (cond.). Mariinsky Label MAR0545 (2 SACDs) (http://www.mariinskylabel.com/). Despite spanning interesting times, these three do not exceed the sum of their parts: Nos. 4 and 5 are OK, but No. 6 doesn’t convince. MAYBE. 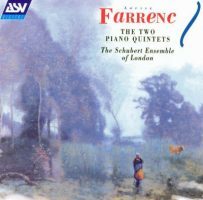 Louise FARRENC: Piano Quintet No. 1, Op. 30 (1839); Piano Quintet No. 2, Op. 31 (1840). Schubert Ensemble of London: William Howard (pno), Simon Blendis (vln), Douglas Paterson (vla), Jane Salmon (vlc), Peter Buckoke (cbs). ASV CD DCA 1122 (1 CD) (http://www.asv.co.uk/). This music fits completely alongside Schubert and Mendelssohn. That the strings require contrabass instead of a 2nd violin is brilliant. YES. “The Romantic Piano Concerto, Vol. 28.” Zygmunt STOJOWSKI: Piano Concerto No. 1, Op. 3 (1890); Piano Concerto No. 2, Op. 32 (1909-10). Jonathan Plowright (pno), BBC Scottish Symphony Orchestra, Martyn Brabbins (cond.). Hyperion CDA67314 (1 CD) (http://www.hyperion-records.co.uk/). 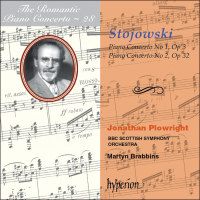 A couple of obscure Romantic concertos, convincingly resuscitated, but hardly necessary or memorable. Stick with Chopin or Rachmaninoff. NO.